Choosing the right email marketing service provider for your email marketing campaign is important to the success of your efforts given the fact that there are quite a number of competing alternatives. If you recently decided to start email marketing, great, you are on the right track. No marketing channel has a better ROI than email marketing. If you are a veteran and shopping for alternatives, I trust you too will find this article insightful. We share with you some of the most reliable and trusted email marketing service providers that will do just fine for your marketing campaigns. Just before, we run through these providers, let us consider what makes one provider deserving of our attention. Would there be another reason to consider an email marketing service provider, other than it just sends mail? What’s the point of sending emails that end up in the spam box of your subscriber? Your email marketing service provider should have all the tools and features that help your campaign comply with all the ever-changing regulations on spam and email marketing. Most marketers or at least a greater portion of people involved in running marketing campaigns especially for small businesses do not have the technical knowledge of the code running these applicationss. Most of us have used web-based interfaces our lifetime for email; we should, therefore, have access to drag and drop tools. With the facility for advanced users to create HTML based emails. It is headache enough growing our mailing lists, creating, sending and managing our emails should not be another headache. Business is complex and a lot more interdependent today. A typical business has several diversified individual units yet; these need to share data for better business decision making. If there is need to integrate existing applications, our email marketing service provider should have the tools to do that. I want to think a good email marketing service provider is as good as how much automation it can handle. How much of the mundane activities of email marketing are taken off our hands? That’s the main point of paying big bucks for such software, isn’t it? We are looking for simple automation like sending Autoresponders, event-triggered emails, and much more. Sending a thank you email after a purchase or a happy birthday email should not be done manually anymore, the email marketing service provider should capably handle this for us. The actual value of a mailing list or marketing campaign is the data generated. Our email marketing service provider should have the tools and facility to generate customized in-depth reports and analytics enabling a company to align their marketing efforts as they see fit. 7.Ease of adoption and cost. Every business is concerned with its bottom-line, so we have to think of the cost of adoption and projected ROI as much as we are looking at how easy it is to deploy and use. With that in mind, here are 8 of the leading email marketing service providers that fit the bill. Note, the order is no reflection of their ranking. Mailchimp is a tested email marketing service provider, a serious contender for the best email marketing software for 2019 if there were such an award. Mailchimp usage statistics are pretty staggering; 6 billion emails sent in a week from 175 and counting countries. Mailchimp has solid spam and GDPR compliance features, great for newsletters and higher-end tasks of automation and abandoned cart notifications for most e-commerce platforms. Additionally, you can run your Google ads or Facebook campaigns right on the platform. It has three plans; Free, Grow and Pro. 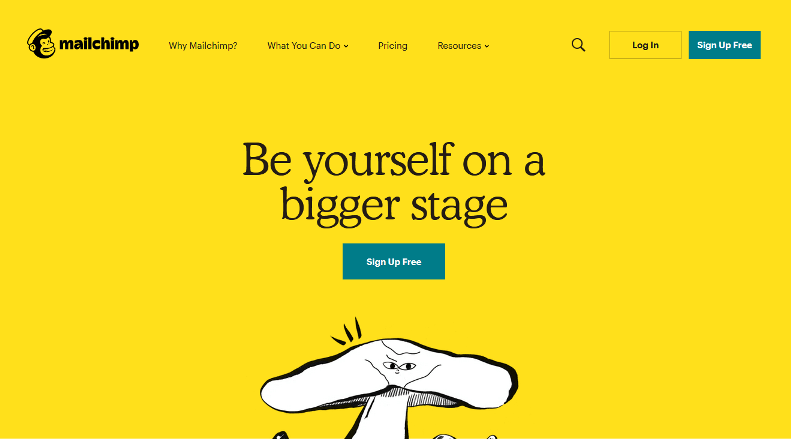 With $0 you can get started with Mailchimp with access to all Pro features. The only limit is the 2000 subscribers or 12000 monthly emails sent, whichever comes first. Mailchimp, by miles, is the best FREE email marketing service provider, no other provider gives you such great features at zero cost. GetResponse is a household name in email marketing circles. As one of the pioneering email marketing service providers, GetResponse has won the hearts of thousands of businesses with great features that are designed to make email marketing and marketing automation easy. One feature that separates GetResponse from other email service providers is its webinars. If webinars are a part of your service portfolio, then GetResponse is the email service provider to consider. No need for another provider to do this. If you are shopping around for an email marketing service provider, GetResponse has a 30-day trial period. Starting from as low as $14 you can get your email marketing started with iContact. Like all other email marketing service providers, you will have access to industry-standard features like subscriber management, list segmentation, automation, A/B split testing and a lot more. Its drag and drop editor, plus plenty of templates gets you off in no time with professional looking emails for your email marketing campaigns. iContact additionally provides native integration with Salesforce for $99. No switching between applications to get tasks done. This would be a big feature for existing Salesforce CRM users. ConstantContact, email marketing service provider has been around for decades uniquely qualifying it for consideration. If you are looking for a standard email marketing service provider that will allow you to manage your list and send emails, then Constant Contact, do just that for you. It too does feature an easy to use drag and drop editor for designing your email and a large template database to get you started fast. Constant contact pricing starts at $20 per month, with the first month free across the board. Sendinblue is a great email marketing service provider to consider in 2019, like Mailchimp they have a 100% free plan with unlimited subscribers. The only caveat for the free plan is you can send up to 300 emails per day. Perfect for someone starting out to build their list. As your mailing needs grow you can step into their paid plans that start at $25 per month. Talking of household names. 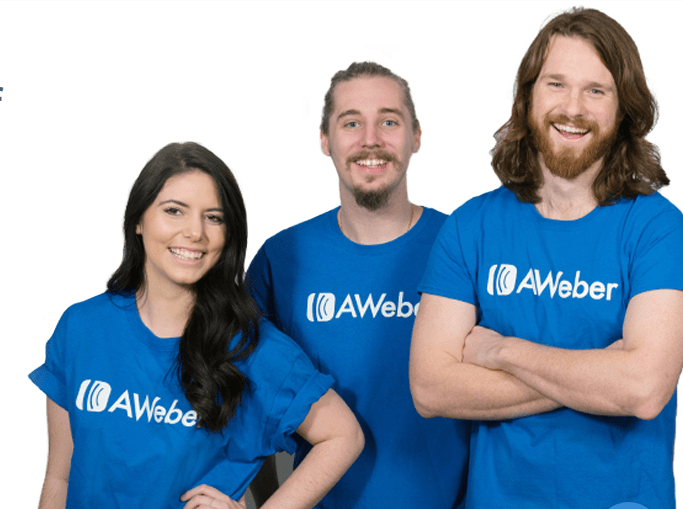 Before I was ever remotely aware of and later interested in email marketing, Aweber was there. Aweber email marketing service provider is so popular in the internet marketers’ community. If you have ever subscribed to internet promotion, chance is that Aweber was the email marketing service provider the campaigns were run on. If you are curious enough, check your email footer. Aweber’s subscriptions start at $19 per month for a 500 subscriber list, this gives you all standard features you will need for your email marketing campaign. Campaign monitor has all the standard features and security anyone would need for their email marketing. For eCommerce sites, Campaign Monitor provides transactional emails that can be easily integrated with your existing platforms. Starting at $9 a month you get access to all the email marketing features, the top tier plans provide more automation and advanced reporting and insights. Their free plan only allows exploring the platform, sending more than 5 emails requires one to create an account with them. One of the younger email marketing service providers, SendPulse, perfectly fit in the contenders’ list for your email marketing campaigns. Besides the standard email marketing features that every other email marketing service provider has, SendPulse offers extra services like the traditional Bulk SMS messaging, Web Push notifications, Viber and Facebook chatbots, for free and in some cases a small extra fee. Each one email service provider has a unique advantage that gives it an edge over the others. To rank them would require an understanding your organization’s marketing needs, your existing applications and the level integration needed, against that can you go through the different providers to determine who is the best fit for you. I hope this is helpful as you zero down on who does what and does it better for your company.